Anyone who has watched free-to-air TV lately could be forgiven for believing that eating lamb is synonymous with being Australian. In recent years, the Australian lamb industry has cleverly co-branded itself not only with Australia Day celebrations, but with actually being Australian, through their widely-discussed annual Australia Day lamb ad. Now, while many Aussies are quite partial to a lamb chop, the fact is not all Australians are meat-eaters. Or red-meat-eaters, for that matter. Let alone lamb-eaters or, specifically, barbecued lamb-chop-eaters. So it’s no small feat that Australian lamb went from being a mere consumable product to a cultural icon in the space of a few years. And though that particular marketing coup is probably best explained by marketing gurus, and analysed by the many capable academics who have done so, it’s still worth the rest of us pausing to wonder how the heck sheep ended up feeling so Australian? Sheep aren’t native to Australia, of course. Yet when many of us visualise a classic Australian scene — the kind viewed on a drive in the country— it often evokes paddock after paddock of grazing sheep. 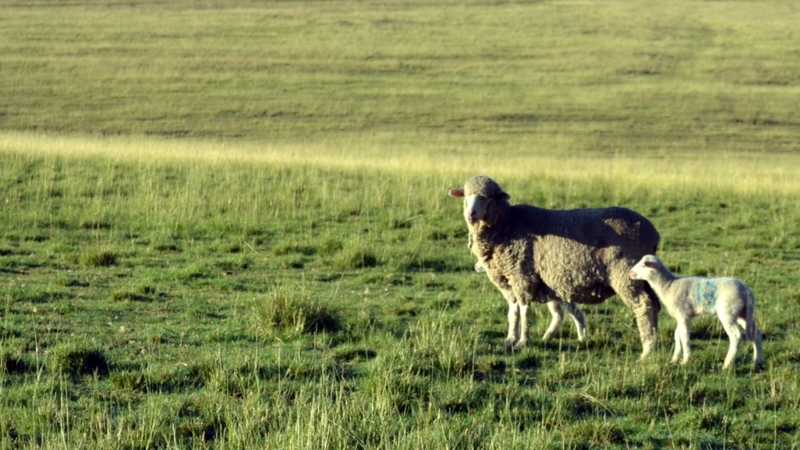 Despite being part of the Australian landscape today, domesticated sheep are believed to have descended from a wild sheep breed of Europe and Asia called the ‘mouflon’. Sheep arrived in Australia along with the First Fleet with an initial purpose of feeding the colony. In 1797, the first merino sheep landed in Australia – a Spanish breed that was better suited to the Australian environment than those imported previously. It was also known for its excellent production of wool. In 1807, the first Australian-produced fleece was sold in England and by the 1800s, wool had become the nation’s major export. From the perspective of Deakin University’s Dr Christopher Mayes, the story of sheep in Australia is a little more complex than the (primary school assignment) version outlined above. He points out that sheep served an important ontological function for British settlers that was underpinned by the colonial mandate to occupy the land and tame its ‘wild wastelands’, and which ultimately had devastating consequences for Aboriginal peoples. For British settlers, Mayes explains, sheep were not only a food source; they quite literally fulfilled the colonial vision of occupying the land and multiplying the introduced population. Sheep ate the grass, trampled native plants underfoot, and hardened the ground with their hooves as they moved in a herd, which stopped native plants from growing back. This disrupted the ecological balance that Aboriginal peoples had maintained during thousands of years of sustainable living. Sheep also provided settlers with a sense of home – what could be more English than sheep grazing outside in the paddocks and lamb on the dinner table? “Food and agriculture play a central role in the Australian story,” Mayes writes in the opening paragraph of his book Unsettling Food Politics: Agriculture, Dispossession and Sovereignty in Australia. Did every Aboriginal massacre have a trigger point involving sheep? At Anglican Deaconess Ministries’ 2019 School of Theology, Culture and Public Engagement this week in Sydney, Mayes showed attendees a map of Australia. He had marked where early pastoralists with sheep had lived, and overlaid it with a map collating indigenous massacres. The correlations were striking. “So, until 1836 in what was called the Port Philip district, which encompasses Melbourne and around the areas where I live in Geelong, there were no British settlements,” Mayes told Eternity. Did every Aboriginal massacre have a trigger point involving sheep? “Certainly not all of them, but a vast majority of them do,” he replies. Mayes says that researchers like La Trobe University’s anthropologist Patrick Wolfe have shown something distinct about agriculture in settler colonial societies such as Australia, US, Canada, New Zealand (i.e. colonies where a new population moves into a country and settles with a plan to stay, as opposed to one that just comes for a little while and takes the countries’ resources). Agriculture plays a crucial role in enabling that population to stay. However, historians such as Robert Kenny have also noted that Aboriginal people not only killed sheep because they were an easy food source but as an act of resistance. The role sheep and shepherds played in Australian colonialism caused significant challenges for early missionaries. Mayes also pointed out that the role sheep and shepherds played in Australian colonialism caused significant challenges for early missionaries who attempted to translate and teach the Bible to Aboriginal people. He gives an example of the challenge that early missionaries faced when communicating biblical references of sheep to Aboriginal people. Mayes refers to Lancelot Threlkeld who was commissioned by the London Missionary Society to work among Indigenous Australians. 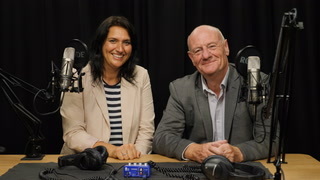 Threlkeld engaged with the Awabakal people of what is now known as the Newcastle/Hunter Valley region in New South Wales – and was highlighted by author Meredith Lake in her award-winning book The Bible in Australia. “Psalm 23, ‘The Lord is my shepherd’, derives from a pastoral society readily able to think of God as a shepherd, the world as a pasture and people as sheep” writes Lake. Threlkeld’s awareness of the problematic place held by sheep in Australian history seems a far cry from today’s Australian lamb advertisements that conflate Australian identity with eating lamb. Mayes recalls their ad release of 2017, which opened with an Aboriginal man walking across an empty beach and exclaiming ‘First here!’ to a friend, before getting a barbecue started. Then the Dutch arrive in their tall ships, followed by the British, French, and a host of ‘gate-crashing’ migrants of various ethnicities, culminating in a big multicultural beach party. “The use of lamb to suggest this is a coming together of people – particularly of indigenous people hosting a barbecue with lamb and welcoming all these people – is either disturbingly ironic, considering the role of sheep in indigenous people’s dispossession, or a bald-faced continuation of the same, in normalising lamb to Australia and, by that normalising, eradicating the history of the violence,” Mayes says succinctly. Food for thought, this January 26. Should we be offended by the lamb ad?